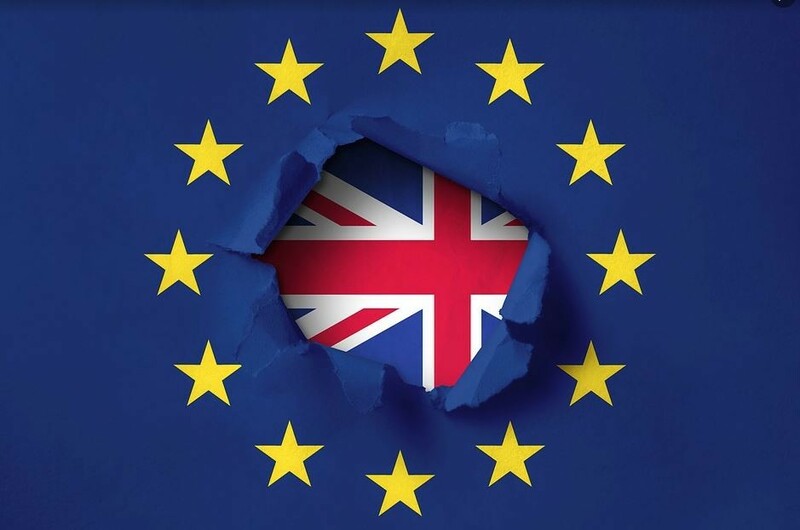 Everybody knows that Brexit – the departure of the UK from the EU – will happen on 29 March 2019, which is less than six (6) months from today. For the area of patents, in very short words, there is no reason to worry. Even if there is a Brexit without a “deal”, there will still be European Patents that are valid in the UK. What is not clear is whether there will be Unitary Patents in the UK and whether European Patents that are designated for the UK would fall under the jurisdiction of the Unified Patent Court (UPC). The UPC is not yet established and it is currently unknown whether the UPC will be operational before Brexit day, i.e. 29 March 2019. The UK has set a very clear signal that even in a ‘no deal’ situation she is committed to participate in the UPC and unitary patent system: the UK ratified the Agreement on Unified Patent Court (UPC Agreement) in April of this year, i.e. after having started with EU withdrawal process. This indicates that continued participation in the UPC is considered by the UK government to be politically acceptable. A bitter pill to swallow in that case would be the fact that the UPC is required to apply relevant EU law in its decisions, which is Continental Law, and that UPC decisions would be enforceable in the UK law system, which follows Common Law rules. The UK ratifying the UPC Agreement was the penultimate compulsory prerequisite for the UPC Agreement entering into force (read the last para before the heading “PART I GENERAL AND INSTITUTIONAL PROVISIONS”). The last compulsory prerequisite for the UPC Agreement entering into force, Germany ratifying the UPC system, is not seen as a difficult hurdle. There is a pending complaint against the UPC Agreement at the Federal Constitutional Court of Germany. The German constitutional complaint against ratification of the Unified Patent Court Agreement is on the list of cases to be decided by the Bundesverfassungsgericht, the Federal Constitutional Court of Germany this year. A preview of the cases can be found here. The rapporteur for the case (Az. 2 BvR 739/17) is Professor Dr. Peter Huber, who is also the rapporteur in four constitutional complaints concerning alleged inadequate legal protection at the European Patent Office. There is a link between the pending UPC and EPO cases at the Bundesverfassungsgericht, but this is only a side aspect of the UPC matter. It is realistic to think that Germany will ratify the UPC Agreement, whether there is a “Brexit deal” or not. The UPC Agreement is an important issue for the EU, with or without the UK. The German Parliament will comply with whatever the Federal Constitutional Court of Germany will be requesting to make the UPC constitutional. As we have seen in the case of Germany saving Greece by granting emergency loans, the German parliament is willing to even provide night shift work and meetings during its official holidays if issues have to be solved that are important for the EU. The Federal Constitutional Court of Germany is also willing to make concessions when it comes to issues that are important for the EU, as we have seen in the case of whether or not the European Central Bank is allowed to purchase government bonds of EU member states that are in the Euro system, and in other similar cases. From a practical point of view, I think that it is highly unlikely that, if there is no Brexit “deal”, the UK will need to withdraw from the UPS. The UPS is designed to also take up non-EU member countries and the UK will be the first one where this option will be exercised. I believe that Germany will ratify the UPC agreement as soon as the constitutional issues are solved. And that can be very soon! Or at the latest on Brexit day 29 March 2019. An entirely different question is whether the UPC Central Division entity that was intended to deal with chemicals, pharmaeuticals, and life sciences will remain in London. This question is brought up here http://upcblog.amar.law/brexit-ip-guidance-upc/. My short opinion is “no, that is not likely to happen”. The EU cannot award such a prestigious function to a non-EU-member country when the same function can be fulfilled by an EU member country, such as Italy. The UPC entering into force has actually two consequences which provide a multitude of options that are relevant for patent strategies within Europe. The first consequence would be that a European Patent with Unitary Effect (EPUE), also known as the Unitary Patent, can be registered in the participating member states of the European Union (EU). A Unitary Patent replaces a more expensive validation of the European patent in the participating UPC states. This means a single renewal fee instead of a multitude of national renewal fees and also uniform protection: one single revocation and one single infringement proceedings for the Unitary Patent as a whole rather than for each country individually. As a second consequence, the Unified Patent Court (UPC) is set up. The UPC has the exclusive competence to decide cases regarding such Unitary Patents, but not only regarding Unitary Patents. The UPC also has per default the non-exclusive competence to decide cases regarding conventional European patents that are validated in at least one participating member state. “Non-exclusive” means that the national court systems are still competent to decide in such cases, even after the UPC system comes into force. Although you may already know this information, I have never seen it written in three paragraphs only. We are now all on the same page about UPC and Unitary Patents. No-one can say anything about the future right now. But it is very likely that UPC and the Unitary Patent is going to happen very soon, whether there is a “Brexit deal” or not. The structure and regulations of the Unitary Patent and the Unified Patent Court themselves are well-known (check out here, especially the FAQs) and we all agree that ultimately a single EU-wide patent with a single revocation and infringement court system will make a lot of sense. I don´t think that this will happen but it is worth noting that some problems might arise if the Unitary Patent System (UPS) comes into force before 29 March 2019 AND if the UK later needs to withdraw from the Unified Patent Court and unitary patent system. Additional information about that is available on the Unified Patent Court website. Once the UPC system enters into force, there are only 4 months left for applicants to react. We will have to be permanently on our feet from now on. It may well be that the transitional period for the UPC will start very soon. On what basis will the UPC Appeal Court decide? Most practitioners do not know that the UPC has its own Appeal Court, and not only decisions of the 1st UPC instance are subject to it but also decisions of the European Patent Office (EPO) – the reliable work-horse which is entrusted with granting Unitary Patents – in Unitary Patent matters are subject to the UPC Appeal Court, and not to the EPO Appeal Chamber. And here unveils a very relevant point of uncertainty in the UPC system. While the EPO Appeal Chamber is currently the patent world’s most predictable patent court, the newly set-up UPC Appeal Court has no existing case law whatsoever to rely on. The decision to obtain a Unitary Patent (after the UPC comes into force by either not “opt-out” an existing European Patent or by requesting grant of a Unitary Patent) comes with the submission of the resulting patent to the jurisdictions of the UPC, which is at least partly still unknown. One can already say that decisions by the UPC will very likely not be much different from what is known from the EPO Appeal Chamber, but there will be differences which are still unknown. As a rule of thumb, a litigation before the UPC will be more costly than a litigation before a German court but less expensive than a litigation before a UK court. Deadlines for replies can be as short as one month only. This is why a UPC litigation would always require a team of litigators which closely work together. Compare it with an Olympic Handball team: you need a team experts that deliberately share the immense workload in order to achieve a better result than a lone warrior. Small companies without an in-house legal department may experience that a UPC litigation will exhaust their operational bandwidth. Parties should also be prepared to provide the required liquidity to keep such proceedings going. We are talking about 6-digit figures here. With the UPC and Unitary Patent system coming into force, all new and existing EP patents are per default deemed to fall under the jurisdiction of the UPC. In the case of existing EP patents, this applies of course only to those EP member states for which the respective EP patent was validated and which are also UPC member states, in short in “participating states”. There will be a sunrise period for opting out traditional European patents from the UPC system. This means that the owner of the respective EP patent can decide whether the patent is subject to the jurisdiction of the UPC or not. This is called “opt-out”. More information about “opt-out” can be found here. Until an action has been commenced, patent owners can opt their patents in or out of the jurisdiction of the UPC, at will. One can diversify a patent portfolio by filing divisional EP applications, thereby creating both a traditional European patent, that is opted out of the UPC jurisdiction, and still obtain a Unitary Patent, in parallel, thereby creating an (expensive) extra hurdle for potential infringers when it comes to revocation. Some countries, like Germany, Denmark, Sweden, Finland and Hungary allow national rights in the form of patents and utility models, next to European rights. Patents that are not opted out from the UPC system can be revoked and litigated either in the national courts under the present system, or through the UPC, at the choice of the party starting the action. If all this confuses you because there is too much “European” in this article, such as EPO, CJEU/ECJ, EP, EPUE, EU, etc. please read my little article about what “European” means in IP, here. Conclusion – Do I recommend a Unitary Patent and the UPC, or not? The starting point is always a specific European Patent or European Patent application, because only EP patents or applications can obtain Unitary effect. If there is no European Patent application, there will not be a Unitary Patent, and no decision about changing your European strategy is necessary. From here onwards, I recommend a Conservative 3-Step Patent Strategy. Step 1 is to evaluate whether the respective patent or patent application is worth the effort at all. This applies to all your EP patents and patent applications, whether they will be submitted to the jurisdiction of the UPC or not. A patent that is not and will never be useful should be dumped as soon as identified to be so. This evaluation step should be part of the annual house cleaning of each IP portfolio. If the respective EP patent or patent application has value, proceed to the step 2. Step 2 is to find out whether it will hurt you more if you lose your specific EP patent for all UPC states in one single legal action, as compared with losing it state by state. Some businesses, such as pharma industry, prefer to have a potential revocation of their patents as expensive as possible. Others, such as mechanical engineering, don’t care so much about the difference whether they lose one patent for one invention in one single country or the entire patent family for several countries. If losing your specific EP patent for all UPC states in one single legal action would NOT hurt, then you do not need to opt-out it from the jurisdiction of the UPC. Nothing needs to be done with your existing granted EP patents and you can proceed to the next step. The evaluation step 3 is to determine whether you want your European Patent Application to become a Unitary Patent in the participating UPC states. If you don’t mind to submit your granted EP patent to the jurisdiction of the UPC and if you plan to validate the EP patent in more than four (4) participating UPC states, then the answer is a clear no-brainer: go for a Unitary Patent. This is then the most cost-effective solution. Don’t lose time, start with step 1 above today!